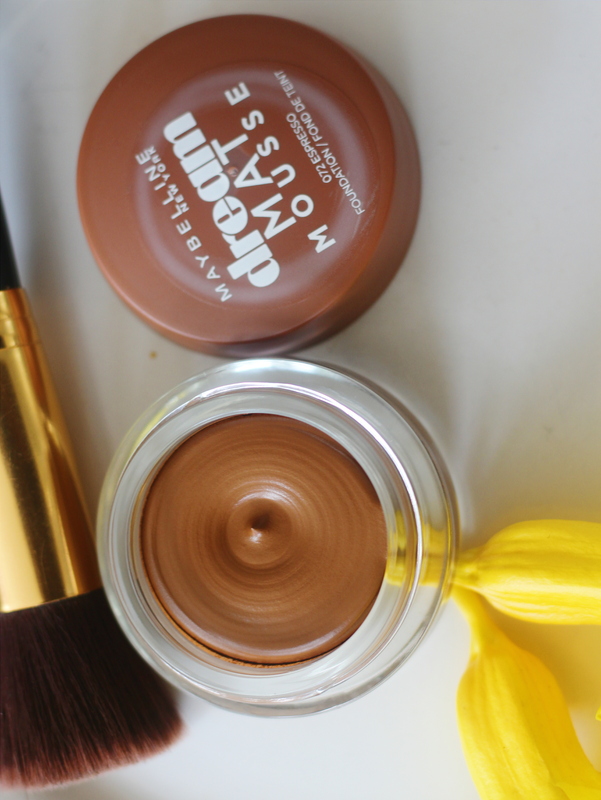 Maybelline MATTE mousse foundation REVIEW. 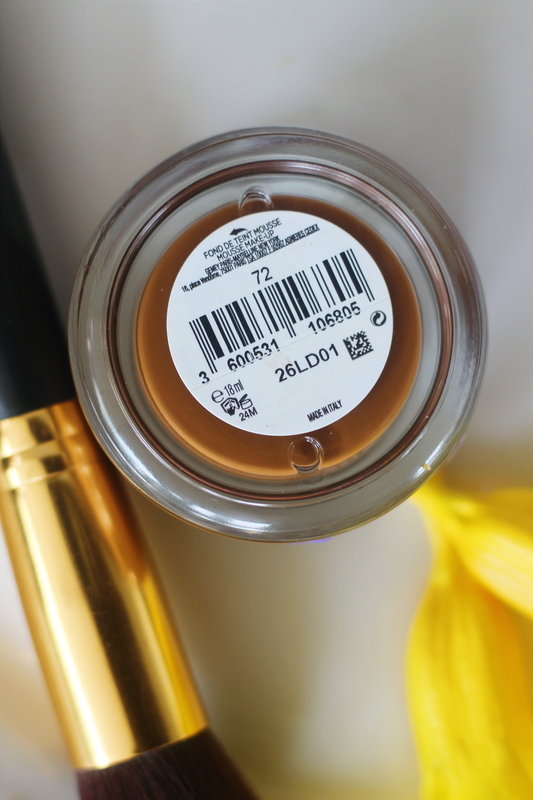 ​what the maybelline matte mousse delivers? Stays matte for about 3- 4 hours, which is contrary to the 16 hrs it promises. My skin is really oily so I’d let that slide. Although I have to say that the foundation truly has a shine free finish compared to other foundations I’ve tried. The maybelline matte mousse is truly lightweight and so does not feel heavy. It’s buildable but the content is small , if you want to build it up to let’s say a full coverage you’d finish the entire content in a short while. It cost 4000 naira which I think is AFFORDABLE. Then again affordability is relative. STAYS MATTE FOR ONLY 3-4 HRS. I look forward to finding a foundation that stays matte on me for at least 8 hrs but now that I’ve said that aloud it sounds ridiculous to even me. Light coverage is great but I’d like a foundation that does more than just light coverage without having to build it up. The content is small. A bigger container would be nice I’ve been using it for only about three and a half months now and I’ve already got the pan which means it would soon finish. How to use: use a beauty sponge or your fingers, I discovered that a foundation brush does not give this foundation a flawless application. I’m not sure, I’d try the maybelline matte liquid foundation before I decide whether or not I’d be repurchasing it . Do you have Oily or dry skin? 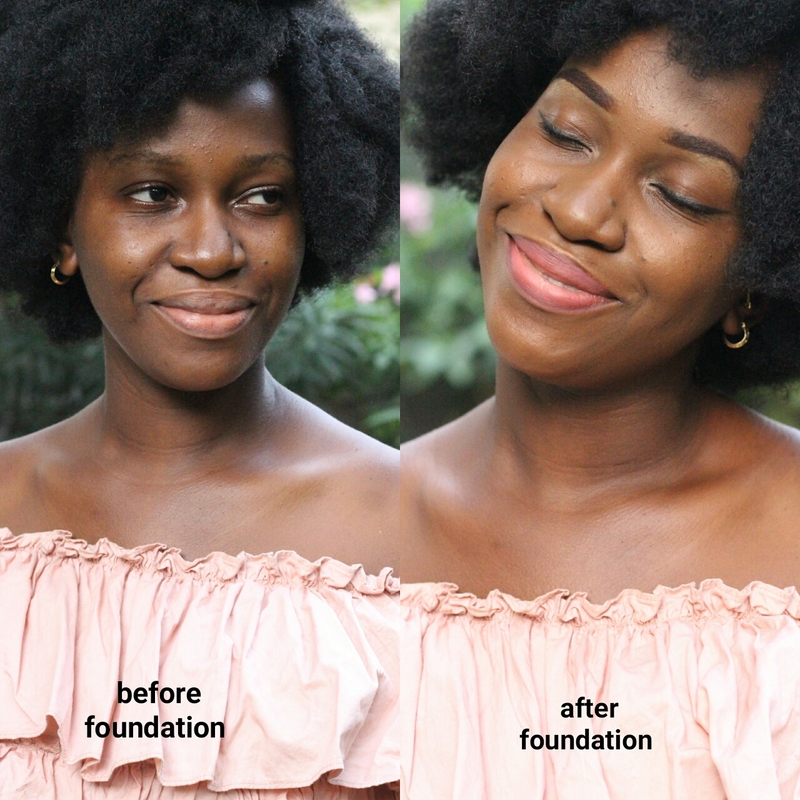 When I purchased the foundation I didn’t realise that it was MAT written on it instead of matte , so I went crazy for a few hours after I found out, thinking I had bought a fake foundation. ABI which one is “Mat” foundation “can one sleep on the foundation. How did I go out to buy a “matte” foundation and then end up with a mat 😂. I sent Bimpe Onakoya a message on instagram basically just trying my luck and not actually expecting a reply but She replied!!!!! 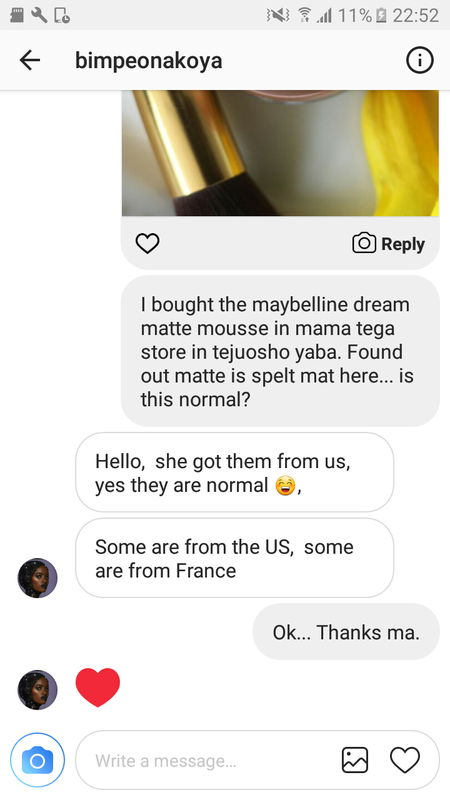 Super busy BIMPE ONAKOYA Replied, I already love her and her work but that made me love her even more. I hope this review is helpful, if you use the maybelline matte mousse I’d like to know what you think about it. Tell me in the comment section. Nice review. If you want a full coverage/matte foundation. You can try the classic concealing matifying foundation. Works well for me. Thanks Anthonia. I’m definitely going to try that. I use the classic powder palette and I like it. Well I’ve learnt to only trust their lipglossses and mascara, but I must say their foundations always look so irresistible in their cute containers. But mehn!!! Your skin need anti oily intervention…. I’m telling you !!! 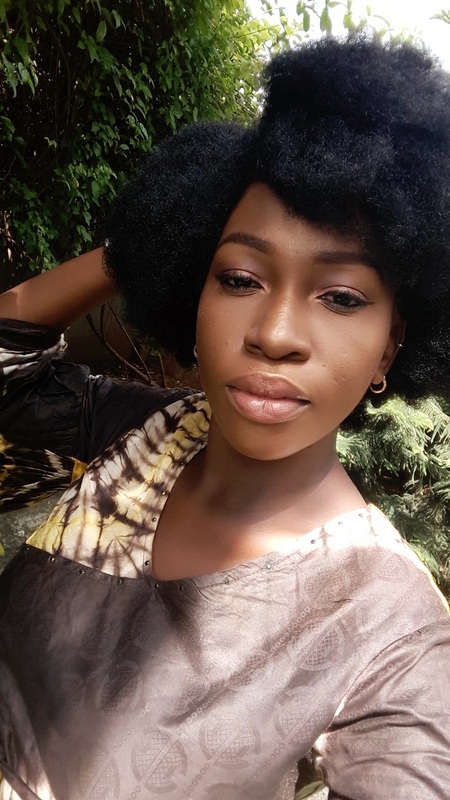 At least they say we oily skinned people won’t get wrinkly quickly 😂.